Look at these cool dudes! They're so serious. If only there was an easy way to make them look like total goofballs. Turns out, there is. 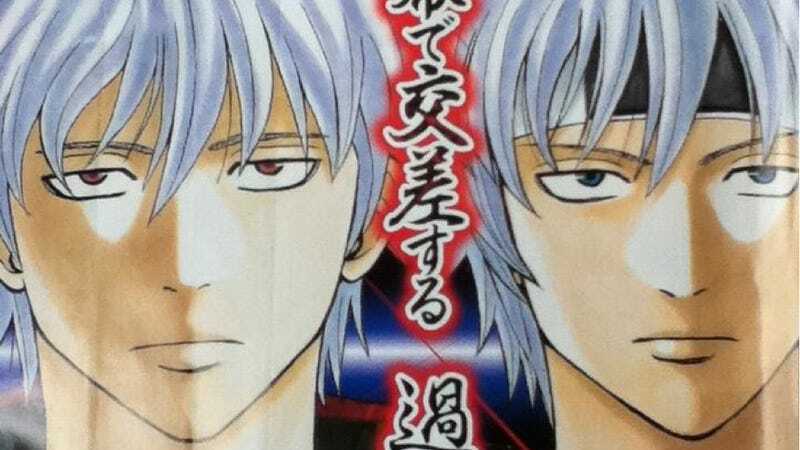 Here's the "serious" cover of Weekly Jump, featuring popular manga Gin Tama. So, how do you make this look ridiculous? Origami! Good times. The images were originally uploaded to 2ch, Japan's largest forum, where commenters were quick to point out that they had previously thought this style of derp folding was only a "paper money special move". For donkey's yonks, people in Japan have folded the country's currency for some easy yucks-yucks. To make the effect work, you need to either look from a lower or higher angle. I've never tried it on U.S. or foreign paper money. If you have folding money with people's faces, give it a whirl.